Four Seasons Resort Sharm El Sheikh announces the appointment of Sanju Upadhyay as the new Spa Manager at the pearl of the Red Sea resort. Moving from the enchanting garden island that is Four Seasons Resort Maldives at Kuda Huraa, the Resort team feels very fortunate to have Sanju joining Four Seasons in Sharm El Sheikh, given her wealth of experience and skills. Sanju has spent more than 18 years of her career in the spa industry, beginning her career journey with Four Seasons in 2002 as Spa Beautician at Kuda Huraa. In 2006 she moved to Four Seasons Resort Langkawi in Malaysia as Spa Assistant Manager and again in 2010 to Four Seasons Hotel Jakarta as Spa Manager. In 2012 she returned back to her home at Four Seasons Resort Maldives at Kuda Huraa as Spa Manager, where she achieved excellent results with her team in both revenue and guest experience. 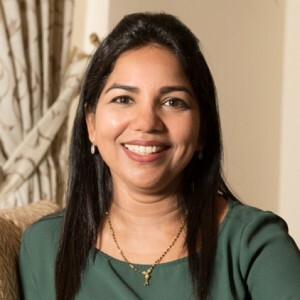 Sanju has had many other remarkable achievements and awards throughout her career, among which were awards for Spa Guest Experience in Four Seasons worldwide, Spa Guest Experience in Four Seasons Asia Pacific, and Best Treatment of the Year at the AsiaSpa Awards for creating the outstanding Night Spa treatment at Kuda Huraa. There is no doubt that Sanju will apply her talent and extensive experience to elevating the Spa at Four Seasons Resort Sharm El Sheikh to greater heights, together with the help and support of a great Spa team and the entire Four Seasons family.Sanju is joined by her husband and adorable son Moin in their new home at Four Seasons Resort Sharm El Sheikh.